This summer I have dedicated to reading that stack of books I have been wanting to read. 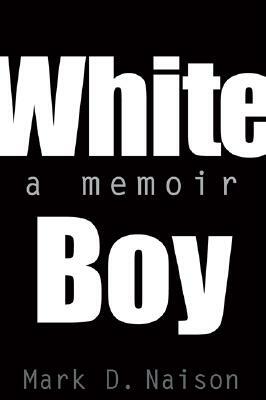 The fourth installment (I will write about the other three books on my blog) was Mark Naison’s memoir – White Boy. Naison, a professor of African American Studies at Fordham University, chronicles his personal, political and academic journey, responding to those who have ubiquitously asked how he as a white man became a professor of African American Studies. With a tremendous amount of honesty, openness, complexity, and vulnerability, Naison explores his own history as a teacher, activists, and source of community empowerment. While the book chronicles a powerful story of the 1960s – the anti-war movement, the Panthers, Columbia, identity politics – it is a story of a dynamic man whose life and insights teach us just as he has taught his students for several decades. In telling the story of the “white African American Studies professors, Naison offers a narrative that highlights how whiteness matters but how it does not define or over-determine the arch of his life or career. It is a story that resonates with me on so many levels, leading me to want to share my own story. Like Mark Naison, I have been consistently asked about my entry into Ethnic Studies. In my first class at Washington State University, I had a student that constantly wanted to know my story. The student could not understand why this White guy was teaching African American film – what had lead me to be me – In the course of the class, he asked “How I can to be the Eminem of Ethnic Studies?” While the class oohed and aahed, some thinking it was a slight against me and others thinking it was a point of celebration, I saw it as a good question, one that could lead (and did) into some important conversations. Another day I had a group of students who came to my office asking me to settle a bet about how I came to Ethnic Studies, each having a different theory – (a) I grew up in the Black community; (b) I had a Black girlfriend or a Black wife who had taught and encouraged me to learn; (c) I was just down. In fact, I have been asked several times if I have a Black girlfriend who educated me about blackness, taught me to be committed and down, and pushed me down my educational and career path. On another level, I have been asked if I am a “culture vulture,” in the tradition of Elvis, in that I am “taking” and “impersonating” something that I am not, in my educational and professional choices. I have also experienced much celebration being a white guy in ethnic studies. Most often such comments reflect desires for colorblindness as a presumed end goal; that is, my presence in Ethnic Studies supposedly embodies the fulfillment of King’s dream or a sign of progress. A student once sent me an e-mail that said that world was changing racially, for the better, because the best rapper was white, best golfer is black, best basketball player was Asian ...and their ethnic studies teacher was white. Not to be outdone, a student cited my presence in Ethnic Studies as evidence of colorblindness, to discount our discussions about racism and inequality. However, what the student failed to see is whether or not their teacher was White, or the president is Black, racism remains a constant. I am certainly defined by my whiteness, whether teaching ethnic studies or driving through Colfax; yet my relationship to Ethnic Studies, social justice struggles, my scholarship, my pedagogy, my ideology, my gaze upon the world, and my understanding of racism/privilege/inequality is not overly determined by a monolithic white identity formation. As Bakari Kitwana argues in Why White Kids Love Hip Hop, “Each Person has a unique story that brought him or her to hip-hop. Looking at the micro reasons as well as the macro ones helps us make sense of a contemporary hip-hop scene in which a new generation is affected by America’s racial history and in the process is constructing a new politics.” In others words, my arrival to and place within the field of Ethnic Studies (or a larger racialized discursive field) reflects a myriad of factors and experiences, ones that are neither defined exclusively by nor immune from the realities of whiteness, racism, and contemporary racial politics. I grew up in Los Angeles in a middle-class family that spent most of its income on schools, not so much because of concerns of “safety” or even the quality of education available in the public school system. I went to an elementary school founded by Hollywood Communists, including Charlie Chaplin. During my life, I have never gone to school where we did not call our teachers by their first name; I did not receive “grades” until the 9th grade. More instructive, both detention and the pledge of allegiance were completely foreign concepts to me until high school. This educational background clearly established a foundation but this only tells part of the story. White youth adoption of Black Cultural forms in the 21rst century is also a performance, one that allows Whites to contain their fears and animosities towards Blacks through rituals not of ridicule, as in previous eras, but of adoration. Thus, although the motives behind their performance may initially appear to be different, the act is still a manifestation of White Supremacy, albeit a white supremacy that is in crisis and disarray, rife with confusion and contradiction (In Kitwana 103). While he emphasizes how fascination and fetishization often coexists and fosters white youth resistance to anti-racist activism, through either actual opposition or simple erasure, denial and ignorance about racism, Bakari Kitwana celebrates the transformative possibilities in hip-hop: “My belief is that rather than being resistant, many white hip-hop kids have yet to realize that is up to them to create such anti-racist programs.” More specifically, he writes how hip-hop and spaces of hip-hop have provided a new arena of public space where a new racial politics has the potential to form. At a certain level, my own experiences with hip-hop mirrors the optimism offered by Kitwana. For me, hip-hop was a place of entry to social justice and anti-racist scholarship, teaching, and practice. Whereas rock n’ roll seemed to be central to Mark Naison’s political, educational, and personal development, hip-hop provided a powerful form of socialization for me. While I could talk about a number of examples, from how listening to NWA or Public Enemy pushed me to examine the history of policing within communities of color or how Arrested Development forced me to contemplate the realities of privilege, poverty, and homelessness in the United States, one song that inspired me to become a teacher was KRS One’s “You Must Learn.” It introduced me to an unknown history that I came to realize was erased from dominant historical memory. It ultimately led me into library, encouraging me to question my schooling and those “self evident truths.” Yet, it was not just the music. There are countless other experiences, from my short time at University of Oregon and my undergraduate and graduate experiences at UCSB and UCB, to the Los Angeles uprising, that shaped not only my livelong passions but my identity and ethos. More than any other experience, the reason I am a white professor of ethnic studies stems from the influences of and mentorship I have received since an undergraduate. I have benefited tremendously from teachers, peers, and students who did not discourage or shun me (what is often assumed to the case), but instead educated, nurtured, challenged, and inspired me. Kofi Buenor Hadjor, an instructor of black studies at UCSB, did it all. Beyond the classroom Kofi was a mentor. We used to sit and talk about the O.J. Simpson trial, police brutality, US policy toward Africa; his time with Kwame Nkrumah, Mao and Dubois; his thoughts about health care inside the U.S. and herbalism; we would talk religion, family, gender; he taught about humility and mentorship, compassion and community. While my parents planted the seeded, he molded me into the person, the professor, the scholar, and the advocate of social justice that I am today. He demanded in me respect for history and for books; he fostered in me a passion for sharing knowledge; he required of me self-critique whether in class or helping out around his house. One day, Kofi, who was recovering from a stroke, asked me to go buy some fruit from the store. When I returned from the store with apples, bananas and pears, he took a moment to highlight the politics and privileges embodied in fruit. To him, these were “first world fruits,” and he wanted a mango or a papaya. I ultimately got him that mango, only then realizing I had no idea how to cut this fruit. In this instance, I learned how about my own privileges blinded me to the experiences of others; he taught me so much about myself. More than the specifics, he taught me the power of learning and teaching. Some 15 years later, I have so many vivid memories about his lectures, our private conversations, and the many lessons he taught me. I just wish I was able to sit in one more of his classes or simply sit in his living room so we could talk one more time. Mark Naison’s book reminded me of Kofi influence and hopefully one day I will be able to visit Dr. Naison’s class because it is clear that he is able to inspire just like my mentor Kofi. David J. Leonard is Associate Professor in the Department of Critical Culture, Gender and Race Studies at Washington State University, Pullman. He has written on sport, video games, film, and social movements, appearing in both popular and academic mediums. His work explores the political economy of popular culture, examining the interplay between racism, state violence, and popular representations through contextual, textual, and subtextual analysis. He is the author of Screens Fade to Black: Contemporary African American Cinema and the forthcoming After Artest: Race and the War on Hoop (SUNY Press). Leonard blogs @ No Tsuris.